In the wake of the horrific mass shooting in Orlando this past weekend, there has been an international outpouring of support to the victims, their families, and everyone hurting in the aftermath of this tragedy. 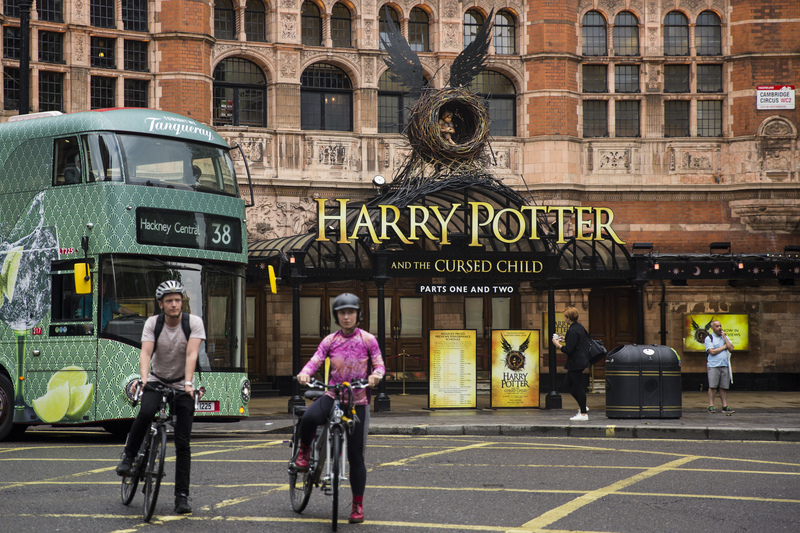 Now in the second week of preview shows, Harry Potter and the Cursed Child made a tribute to Orlando in the form of a rainbow pride flag displayed outside of the Palace Theater. J.K. Rowling tweeted the powerful image this morning, simply writing #LoveIsLove and #OrlandoLove. This tribute comes on the heels of the news that among the 49 victims killed in the attacks was Luis Vielma, who operated the Harry Potter-themed ride "Forbidden Journey" in Universal Orlando. The 22-year-old student had recently begun training to become a nurse. "Luis Vielma worked on the Harry Potter ride at Universal. He was 22 years old. I can't stop crying," Rowling wrote on Twitter, to which many of Vielma's coworkers responded with accounts of his upbeat demeanor, his kindness, and his passion for his work — including the fact that he was a "true Gryffindor". The image of Vielma in his Hogwarts uniform is pinned to Rowling's Twitter page, where she recently shared an image of the outside of the Palace Theater. “He just enjoyed life. Everything he did, he did with joy. Even putting out chairs for a community event — he did it with joy,” said JoAnn Sofinowski, a family friend of the Vielmas, to The Telegraph. Harry Potter and the Cursed Child is currently in preview shows, set to open July 31. The rainbow flag is displayed prominently where the poster for the show used to be, in remembrance of Luis Vielma and all of the other victims of this senseless act.